An 11-day biking tour through one of the most celebrated adventure trip routes in India. A dream trip, you will find on the bucket list of many travellers. Ride on famed Manali-Leh Highway, across the many popular sights of Manali and Ladakh, including the Pangong Lake and the Nubra Valley. This Ladakh bike trip is perfect for a lover of starry nights, scenic mountains and serene lakes. Why Choose this Ladakh Bike Ride package? No Hidden Costs: All inclusive price with no hassle of paying on multiple occasions during the trip. Select best package and leave hassles of planning to us. Fixed Departures: All available dates on the calendar are bookable. Premium Stays: All Accommodations during the ride in comfortable hotels and deluxe camps. All stays with attached washrooms. Hot running water in all hotels. Bike Rent and Fuel: For rented bike options, bike rent, as well as fuel, is included in the price. Includes All Permit Fees: No hassle of paying permit fees. All permit or wildlife cost during your trip is already included. This Ladakh tour from Manali takes you through the magnificent valleys and plains of Ladakh on a Royal Enfield motorcycle in 11-days. You can also opt for RE Himalayan bike. Our Ladakh motorcycle tour starts from Manali. Rohtang pass, the serene Pangong Tso Lake, Indus, Shyok Rivers, Nubra Valley and Khardung La - all these incredible landscapes will unravel before you during the trip. Stay at the deluxe camps where you can enjoy the gorgeous starry nights which Ladakh is famous for. With our experienced road captain and a fully equipped backup vehicle, you will be able to enjoy this ride without any glitches. For convenience, the first day in our itinerary is kept aside for acclimatization to make sure that you will have a comfortable journey ahead. Day 1: Arrive in Manali. On Day 1 after an overnight journey from Delhi, you will reach Kullu-Manali and check-in at riverside camps and have some breakfast. Post which there will be acclimatization & orientation process and Ladakh ride briefing. And then the allotment of bikes & trial run in the evening. Dinner will be served at your overnight camps. Ladakh ride begins on the second day after you have had your breakfast. Enjoy the Leh Manali highway ride; you will ride through the Vashsith Hot Springs, Solang Valley, Rohtang Pass, Keylong. You will encounter snow at this place. Upon your arrival in Jipsa, there would be an overnight stay. On the third day, you will be going to Sarchu, after a nice warm breakfast. This ride will take you to Suraj Taal and Deepak Taal, two breathtaking high altitude lakes in the Lahaul and Spiti region, Baralacha La Pass, Darcha, Zing Zing Bar, Chandrabhaga River. Upon your arrival in Sarchu, you will be staying for the night at the camps/guest house. On the fourth day after breakfast, you will be riding to Leh through Nakeela Pass, Whisky Nallah, Lachulung La Pass, Pang, beautiful More Plains, and Tanglang La Pass. The distance from Sarchu to Leh is 250 kilometres and you would be staying overnight at a hotel in Leh. The fifth day will be your rest for after the long road trip. Sit back and relax, one could explore the local market and cafes at their own convenience. On day 6 you will be travelling to Nubra Valley, the famous cold desert. A ride to Khardung La Top, Diskit, Hunder Cold Desert famous for double hump camel rides. You will be spending the night at the camps in Nubra Valley. The route covered will be Nubra to Pangong via Shyok River or Wari La Pass. On arrival, enjoy the overnight camping experience near the enchanting blue lake. The eighth day will see you head back to Leh. You may stop by the famous school from the Bollywood movie '3 idiots'. You will have to reach Leh before lunch, visit Shanti Stupa, depending on the riders and time, we may cover Magnetic Hill, War Memorial, Patharsahib Gurudwara. Enjoy the daytime in Leh. After breakfast, you will start your ride for Sarchu. The journey to Sarchu is 250 kilometres from Leh and you will reach there by the evening. On the tenth day, you will reach Manali from Sarchu covering about 230 kilometres and take rest at our riverside camps. After breakfast, you will be checking out from the camp. You can explore Kullu/Manali and take an evening Volvo back to Delhi. Accommodation in River side camps in Kullu-Manali. Free parking facility in Kullu-Manali. Accommodation in deluxe hotels and camps with attached washrooms. Stay at twin sharing basis for couples and a triple sharing basis for the group. Hot water bucket available on request. Bike rental charges for Royal Enfield 350cc (Upgrade to RE 500cc or Himalayan - choose add-on while booking). Fuel for the rented bikes, as per the itinerary. Safety helmet for riders and pillions. Protective Knee and Elbow Guard for the rider. Buffet breakfasts (10) and Dinners (10) as per the itinerary. Expert Road captain for the bike ride. Permits and Wildlife fees for restricted areas in Ladakh for Indian Nationals. Backup vehicle (Innova/Tempo Traveller or similar) for the ride. Luggage space for one 60 litre bag per person in the support vehicle. Royal Enfield motorbike mechanic for the entire road trip. Any airfare or transport outside of the itinerary. In-line permit cost for foreign nationals (Available as an add-on while booking). Any kind of insurance, accident, theft, medical, evacuation etc. Any spare parts of any kind or bike damage repair etc. Refundable security deposit of Rs. 10,000 per bike (pay by Cash/Paytm) at the time of bike allocation. 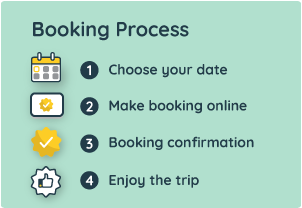 Book with 10% of the total amount if you book more than 30 days in advance. Members below 16 years of age are not permitted to travel on the bike as pillion. They can travel in SUV/Traveller. Kids below 3 years of age are not recommended to join the trip. A valid Driving License is mandatory for the rider. Own Bike option is where riders will be getting their self-owned bike (bike should be registered in your name or on blood relative) - Transportation/transfer cost and road support to reach the reporting location are not included in the price. The customer is liable to pay any repair cost for any damage made of the rental bike. In case the road is closed to Khardung La or Nubra to Pangong and not safe for bikes then transfers to Leh-Khardung La-Nubra-Pangong Leh circuit will be done on Traveler/SUV at no extra cost. If there are any additional expenses due to bad weather or any other reason beyond the control of the tour operator on account of hotel stay, transportation, and meals etc. extra bill will be raised. Neither Trodly nor the participating suppliers/hotels will be responsible for the additional expenses. If any member wishes to leave in-between the tour then he/she has to pay the cost for transportation of bike from point of leaving the tour till Manali/Srinagar drop ie Rs.10,000 per bike. 2 Copies of this itinerary. Valid photo ID for each member. Valid driving license (for riders). Riders Down Jacket, Lower, ankle length waterproof shoes (gumboots) with the good grip and thick sole, gumboots. At least 2 pairs of thermal. Riding gloves, cap, muffler, balaclava, socks woollen and cotton 5-6 pairs. Elastic bungee to tie stuff on the motorcycle if required. One 60L backpack with rain cover. UV sunglasses for bike riding/extra spectacles with cover if you wear one. Hand Sanitiser (Dettol, Lifebuoy) – Recommended. Small water bottle, 1 Ltr - 2 units. Chocolates, toffees, chips, chewing gums, mouth freshener, dry fruits etc. Personal toiletry kit - Toothbrush, toothpaste, shampoo, tissue papers, hair oil, moisturising cream, cold cream, lip balm. The option of Royal Enfield 500cc and Himalayan. Select this if you are a foreign national or have members in group who are foreign nationals. Volvo Air-conditioned Semi-Sleeper Bus - Tickets will be shared 48 hours prior to journey date. What would be the average travel duration each day on these bike trips? On an average we would travel about 6-7 hrs each day or less. On few stretches like Sarchu-Manali we would travel for about 10 hours. On an average, we will be riding 150 km per day. Is fuel cost included in this trip? Yes fuel cost is included as per itinerary in all rented bike options. If you are bringing your own bike then fuel cost is not included in own bike package. What kind of toilet facility will be there? At all places of stay there will be attached bathroom with running water. Either running hot water or hot water on request would be available at all places except Sarchu. How should I choose a tour? What is that I need to make sure of? You may select the tour depending upon your date of travel, number of days and mode of travel (more importantly). If you are looking for a group departure for a bike trip then make sure that you are spending time at the locations mentioned in the itinerary (some of the important places to stay is Hunder/Diskit in Nubra Valley and Pangong Lake). Make sure the group really has a backup vehicle with a mechanic and should carry your luggage, extra fuel and bike in case of break down. Most importantly make sure that you are getting assured departure, many a time people waste days and money because trip organisers don\'t start the trip because of their faulty operations. What is the ideal number of days for the ride? t is good to keep at least 10 to 12 days in hand for a Leh Ladakh bike trip. You don\'t want to rush everything. Are there any special permits and charges for foreigners? Foreigners would have to pay INR 500 extra towards the Inner Line Permit to visit Pangong, Nubra, Tso Moriri or other restricted areas. Fee includes Environment & Wildlife fee. For Indian Nationals permits fee and other fees are included in the price. Can I take this ride with my kid? It is not advisable to do this ride with a kid below 8 years. If travelling with kids then you can choose the SUV option. People travel to Leh with their kids from all parts of the world. Every individual immunity is different, taking rest to get acclimatize is the best option when coming by flight in the high altitude. Things to keep in mind when travelling with kids is to keep when hydrated and not try to force feed if baby\'s appetite is low. That said, Leh city has medical facilities in case some medical assistance is needed. What is the best way to reach Kullu/Manali? Manali is well connected with Delhi and Chandigarh. Best way to reach Kullu or Manali is via overnight bus from Delhi/Chandigarh. You can take semi-sleeper Volvo AC buses or normal sleeper buses. The bus journey take 11-13 hours to reach Kullu and a further 1 hour to reach Manali. Tickets should be booked online. We suggest you choose government run buses such as HPTDC and HRTC as they are seldom late and run as per schedule. When does Manali to Leh road open? Manali Leh highway usually opens in first or second week of June and remains open for about five months. Manali to Leh road usually gets closed from September end or early October depending upon weather conditions that particular year. Is Manali Leh Highway safe? Once Manali Leh Highway is officially open, it is quite safe to travel and roads gets better and better till September as BRO keeps repairing bad stretches. In terms of safety your preparation, following safety guidelines and the weather plays an important role too. How many passes do you cross on Manali to Leh highway? The Manali-Leh route has some of the world\'s highest mountain passes. The five mountain passes that you would be crossing on journey to Leh from Manali are Rohtang Pass, Baralacha La, Nakeela Pass, Lachulung La Pass and Tanglang La Pass. Great trip with good operators & travel arrangements. Operators open to suggestions to cater to individual group requests. However, bike helmets could be of better quality or we should have been advised to bring our own. Couldn't have asked for better service. All stays were quite good and road captain Bunty was very helpful through the trip. I went with my husband on this trip and it was an amazing experience. Hotels were better than our expectations actually...Only feedback is a rest day in Leh is required. Thanks for a well coordinated trip Trodly. Local team was very helpful. (Reporting in Kullu-Manali) Riverside camps in Kullu, Himachal Pradesh. (Reporting point in Delhi if the add-on is purchased) Volvo bus stand, Majnu Ka Tila, Volvo near Majnu Ka Tilla, New Aruna Nagar, Delhi. Tickets will be shared 48 hours prior to departure date. The local contact person details and phone number will be shared in the booking voucher, sent on your registered email.